You have to love simplicity, and excellent simplicity at that. Yes, there does exist such a thing, and this recipe defines it. I first learned of this recipe from one of my colleagues who typically brings in his lunch a few days a week. As I always do, I ask what he brought in. At first glance it looked like plain pasta and I knew that could not be the case as he is a great cook and it would almost be unheard of for him to bring in plain pasta. As soon as I asked, he got really excited and explained that it was pasta with pecorino romano cheese, and black pepper. He explained the process, and a couple of days later it made it onto my dinner table. My colleague was right about two things. It was super simple to make, and it was flippin’ delicious. Start by bringing a large pot of water to a boil. Season the water with salt. 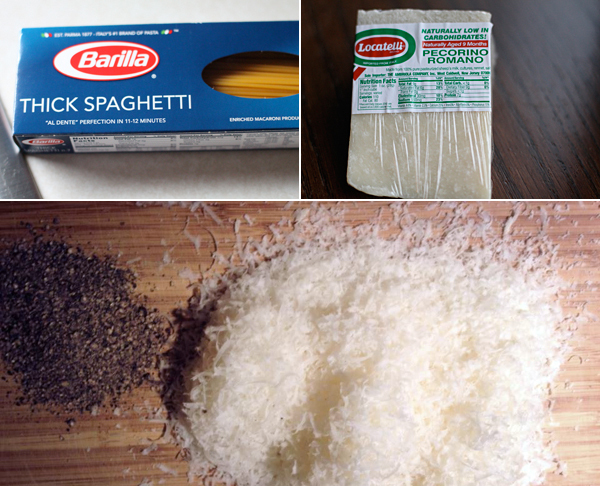 Add in your pasta, and cook according to directions, al dente. Before straining the pasta, take two cups of the pasta water out, and set aside. Add the strained pasta to a large serving bowl. Toss in the pecorino romano cheese, the black pepper, and begin adding in the pasta water until you have a nice smooth sauce. Season with a pinch of salt, taste, and season more if you need to. The result is a fantastic rustic pasta. It’s creamy, and it has a nice bite from the cracked pepper. 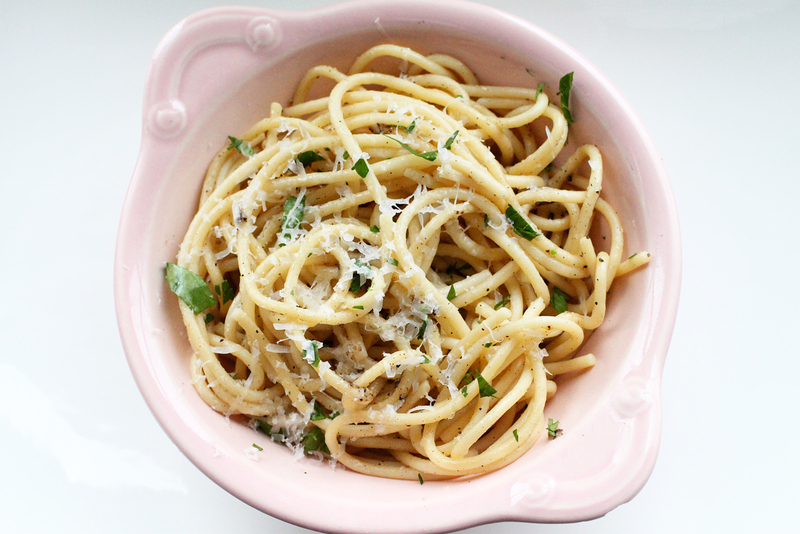 It’s addicting and might be one of my top five favorite pasta dishes. Who knew simple ingredients could make a fantastic meal? Hope you enjoy. One of my all-time favorites…!